Like every farmer, the people of Wakefield spend each day working to feed families everywhere! Then they go home to feed their own. It’s more than a job. It’s a cause that we care greatly about. We take the farm to fork effort seriously, with great pride and responsibility. Let us show you the ways we protect consumers, the earth and even ourselves while the work gets done. Click on the thumbnails below to learn more about how WPI CARES. As animal caretakers, we consistently see to the needs and welfare of our animals every day of the week! This consistency utilizes innovative technologies, specialized nutrition and continual caretaker training to maximize animal comfort and productivity at all stages of growth. Thanks to the advancements in animal housing and ventilation, our animals never have to worry about the temperature outside and are protected from disease through built-in biosecurity technologies. Additionally, our employees are trained to manage these facilities and perform animal care according to a set of standard operating procedures. 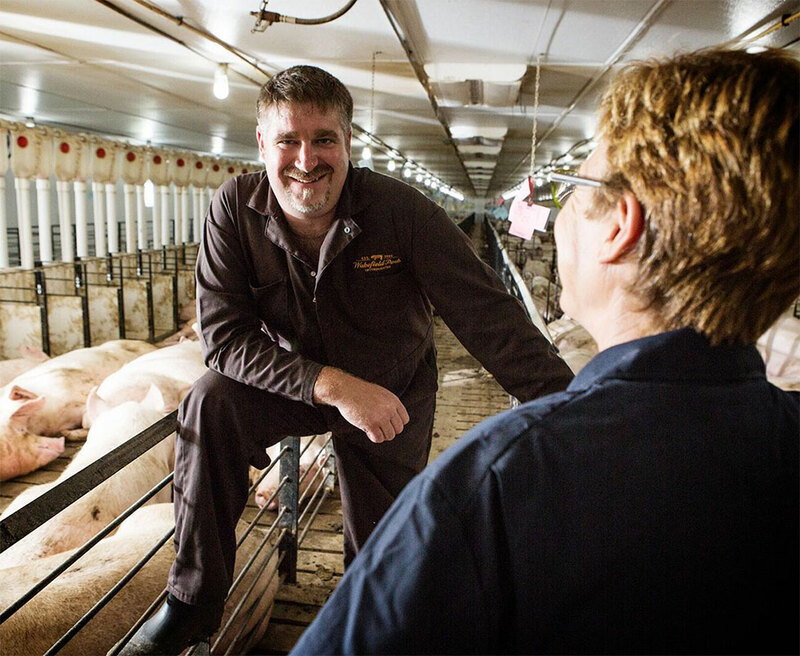 Wakefield Pork is one of few companies that require its employees to maintain certification in TWO quality assurance programs: Pork Quality Assurance and Transport Quality Assurance. 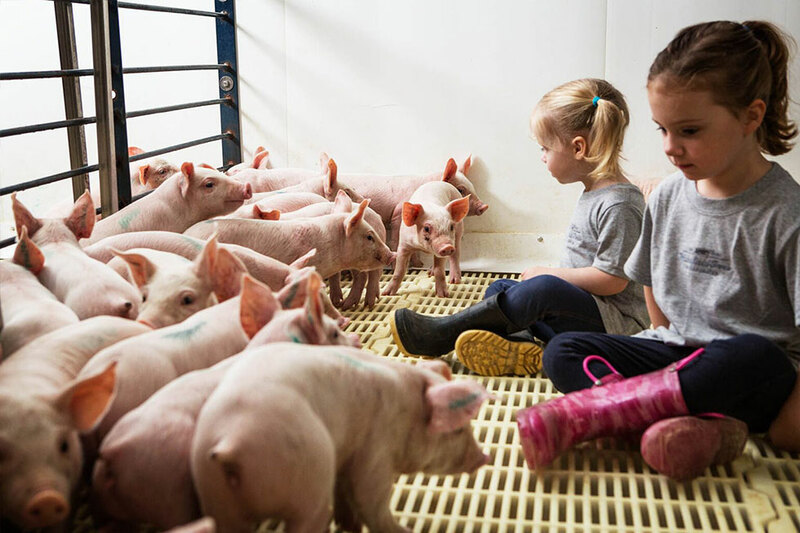 Our in-house Animal Welfare Manager ensures all certifications are current, conducts on-farm assessments to ensure compliance with the Common Swine Industry Audit and see that production is performed within Wakefield Pork’s Welfare Policy Guidelines. Most people get into the agriculture profession because they love rural living. Wakefield is no different! The lush landscape and local wildlife are something we enjoy! We protect and respect those spaces through adherence to state and country regulations, nutrient management, and protection of water resources. Our employees and growers are advised and encouraged to maintain proper upkeep of their facilities as the first step in environmental sustainability. We plant tree lines and other vegetation around our sites to make them an integrated part of the rural landscape. See an example here. Wakefield Pork firmly believes it’s the right of every consumer to have access to safe, affordable and nutritious protein products, including ourselves! That’s why we work closely with veterinarians, continually train employees on industry protocols, are committed to internal research and utilize state-of-the-art facilities that minimize herd exposure to disease risk. By doing so, we can raise the bar on animal health and the end product going out to consumers. 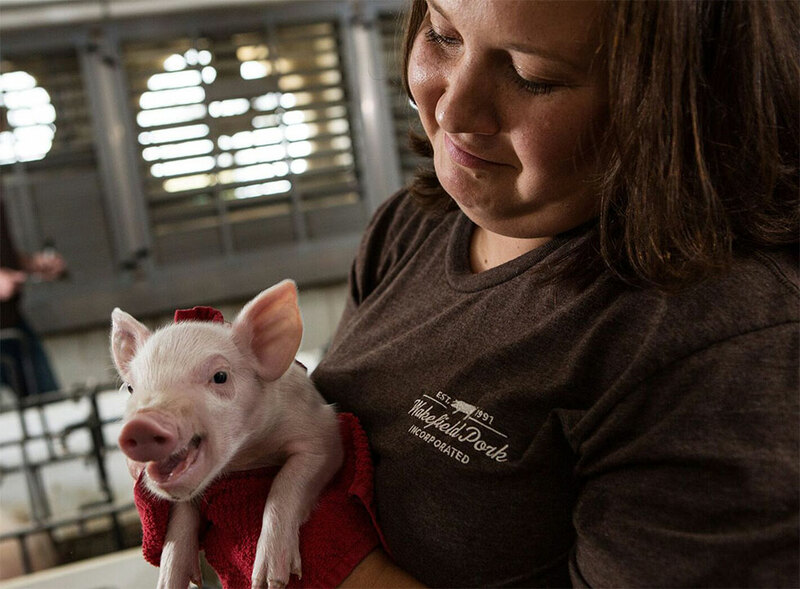 Happy, healthy pigs make for a safe, nutritious pork product! We are also committed to consumer education of pork. Our employees regularly engage with consumers through speaker engagements, classroom visits, and industry sponsored events. Helping consumers understand aspects of production, proper handling and cooking of pork is a point of pride that our employees enjoy. If we told you to take your shoes off at the door or that you’d have to shower before entering the barn, would you believe it? Or, that the air coming into our barns passes through the kind of filtration used in most hospitals. Many would be surprised at the length’s Wakefield Pork employees take to protect animal health, thereby protecting public health! Wakefield Pork’s biosecurity measures are extensive. Their preventative approach helps reduce antibiotic use in our animals. Alongside biosecurity, detailed treatment records ensure employees observe withdrawal times set by the FDA before any animal enters the market chain, eliminating the risk of antimicrobial resistance. Read more about Wakefield’s judicious use of antibiotics here. Wakefield Pork values the effort put forth each day by our employees! In return, we want our work places to be a safe environment that promotes teamwork and camaraderie. Our barn crews work together as a team to achieve barn goals. 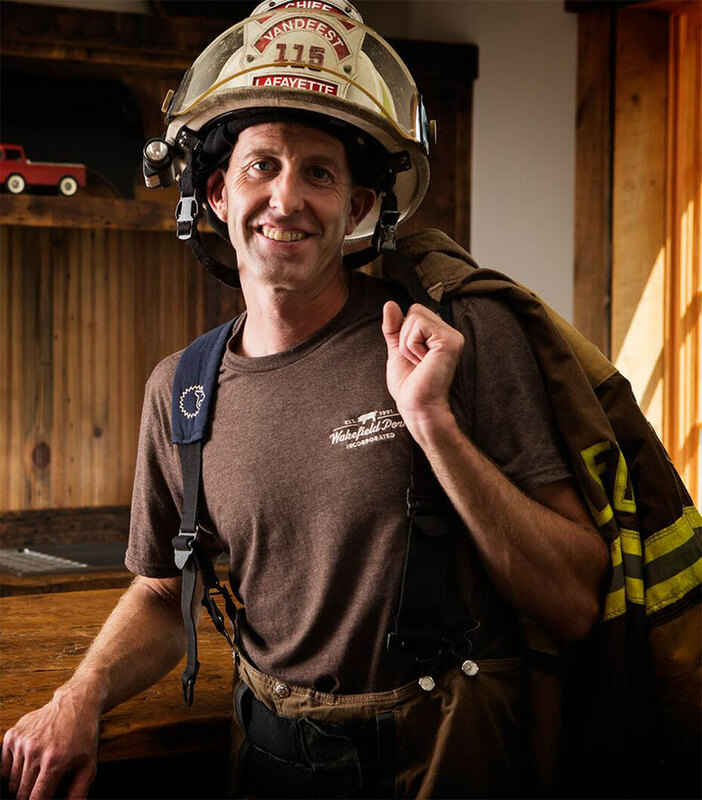 Each barn delegates one employee to serve as a safety representative for the crew and will meet multiple times through the year to bring strategies for safety and well-being back to the barn. 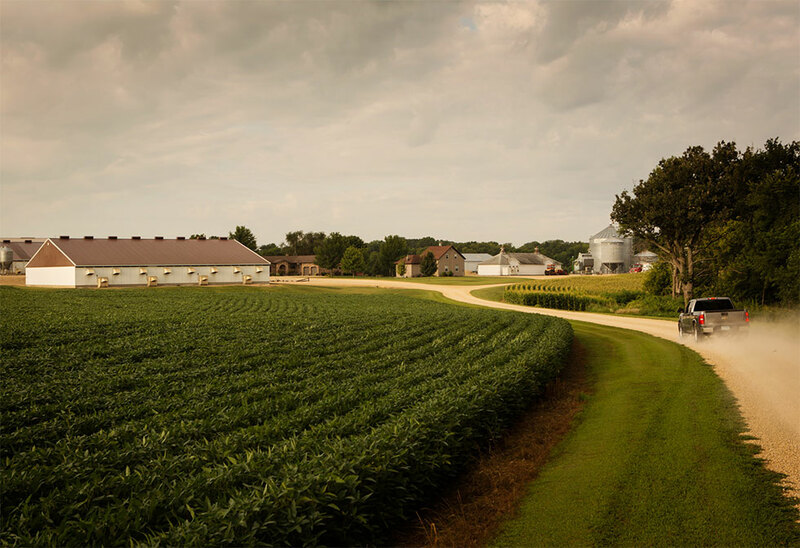 Farms are rewarded quarterly and annually for maintaining a safe workplace. Its one more way Wakefield promotes a culture of caring! You’d be hard-pressed NOT to see a Wakefield employee volunteering around the community. Their dedication isn’t something they display just while on the job! From coaching youth baseball, to Relay for Life, to Polar Plunges, Wakefield employees love giving back! All you have to do is start a conversation to hear all the inspirational things happening in the communities they care about. Our communities are not just integral to our success and sustainability. Wherever our growers prosper, our neighbors reside, and our employees work, we look for ways to better our communities through volunteerism, charitable contributions, education, safe environmental practices and much more.